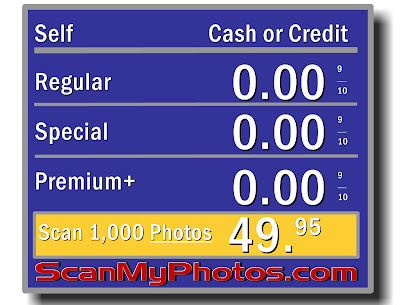 Click here to read more about the great free gas giveaway for walk-in photo scanning customers at ScanMyPhotos.com. 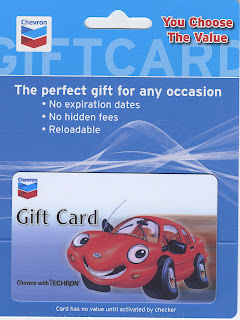 We ran out of free Chevron gift cards twice already and are restocking with more $5.00 - $25.00 cards. Part of the reason was extraordinary word-of-mouth raves and also the media attention we garnered from The Los Angeles Times and a national Associated Press feature. For those non-regular readers of Tales from the World of Photo Scanning, or if you aren't regularly receiving our email updates [click here to sign up], then you can only imagine their expressions. 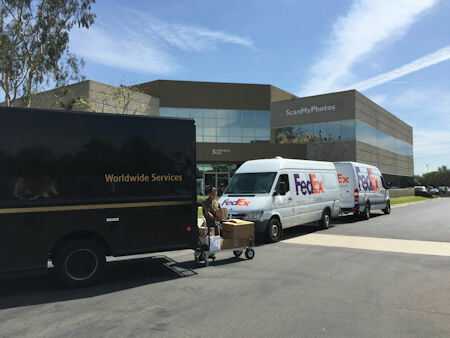 Upon picking up their photo scan orders, we place a free Chevron gas card on top of their order to express our appreciation for driving to our Irvine, CA retail headquarters. Even though ScanMyPhotos.com and its parent company, 30 Minute Photos Etc. has regularly provided all types of extra treats, gifts and extras, this is the first time we instantly received unanimous smiles. Everyone loves the Chevron cards and are telling our story to their friends. Just on Saturday, two of the more memorable orders were from a male customer in a very large SUV. We felt so sorry for him, that our staff handed over two cards; we can only hope each was valued at $25.00. Another customer drove up in a beautiful Ferrari (then again, have you ever seen one that wasn't?). Again, we lamented her predicament, as gas prices are so extreme that perhaps she couldn't afford it either; she received a $25.00 Chevron gift card. If you would like to order Chevron gift cards for your business to provide to your customers to get them shopping, click on this direct ordering link at Chevron.